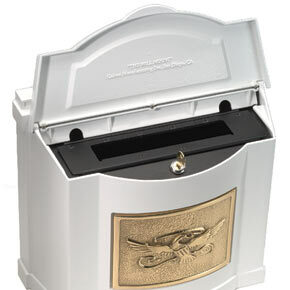 Premium quality Gaines Eagle Wall Mount Mailbox is a combination of tradition and American patriotism. 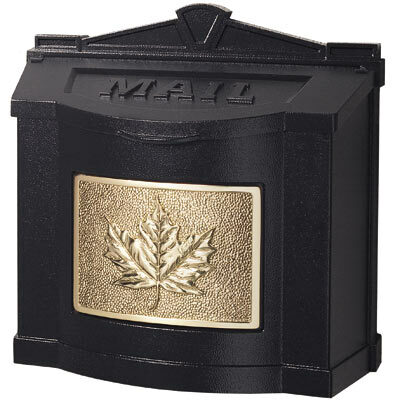 Large capacity wall mount mailboxes have a top access door that can stay open when needed. 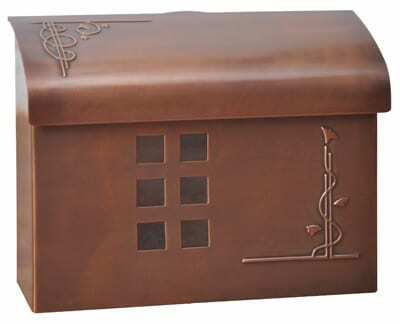 Padded door is designed to close quietly. 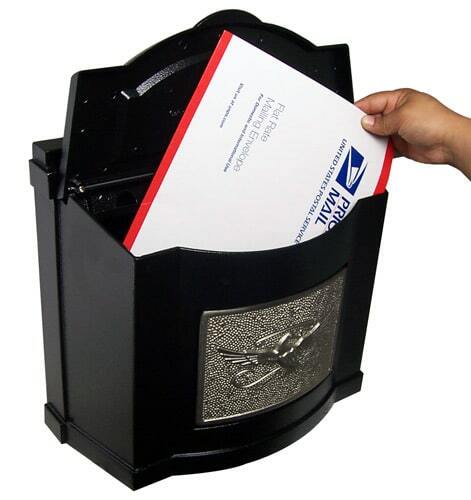 Made from cast aluminum, each mailbox is powder coated for durability and comes in black, white and bronze finishes. 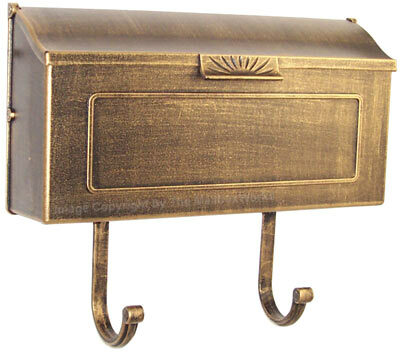 Attractive eagle plaques are available in your choice of corresponding aluminum or solid brass. See all 12 color and plaque combinations below. 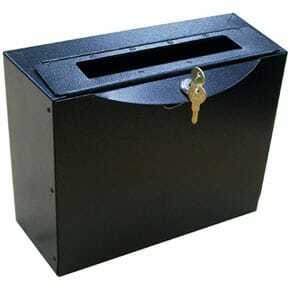 Optional lockable insert can be used when you are away on a business trip and removed when you return. 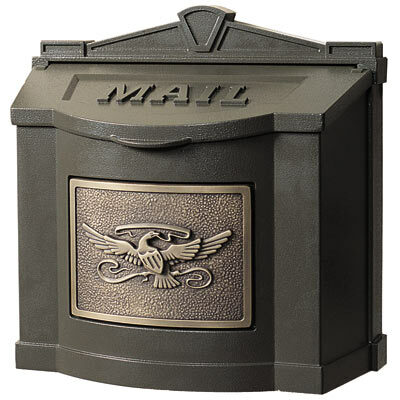 Extra durable powder-coated sheet aluminum and reinforced hinges make it ideal for every day, worry-free mail delivery. 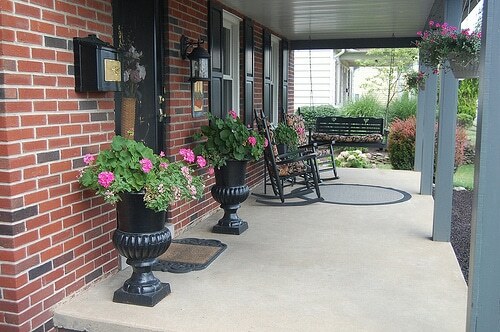 Add a finishing touch to the look of your home’s exterior. 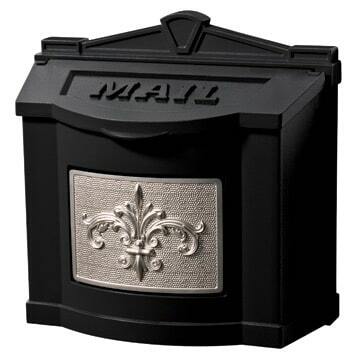 Order a corresponding Gaines House Mark Address Plaque today!